You’re a student and let’s face it, you’re seriously doubting you have enough money for that big night out next week, let alone having the spare cash to splash out on a holiday of a lifetime. Sound familiar? 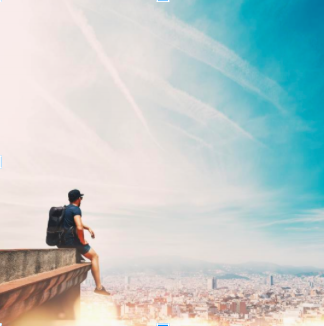 Well this is your lucky day because STA Travel, the world’s largest student and youth travel company, might just be able to make those much lusted after lecture theatre travelling dreams a reality with their amazing new competition. STA Travel are on the lookout for the ultimate ‘Student Adventurer’ who’ll win £5,000 in adventure travel and take on some of the most iconic and exciting travel experiences in the world – and that person could be you! Whether you’re an adrenaline junkie, history lover or mountain explorer, you could be jetting off on an adventure and get a big tick on your travelling wish list. There’s a whole host of incredible world-famous adventures that’ll be sure to get you itching to enter. From African safaris where you can get up close and personal with the animals, to snoozing under the stars in the jungle or sailing around islands on a yacht; there is a unique trip for everyone and plenty to get excited about. All you have to do to be in with a chance of winning is to visit www.statravel.co.uk/student-adventurer.htm choose one Adventure, Experience and Bed from the selection and explain in 150 words or less why you want to be a Student Adventurer. Then upload a photo which illustrates why you want to win and click enter (it really is that easy). From the entries, 30 finalists will be chosen to share a video showing why they’ve picked their particular adventure before the winner is revealed! Don’t miss out! Be sure to enter before 11pm on November 30th. Don’t fret if you don’t make the cut though. STA Travel offer great-value adventure tours, meaning that accessing some of the world’s iconic sites, such as the Great Barrier Reef and Machu Picchu has never been easier.